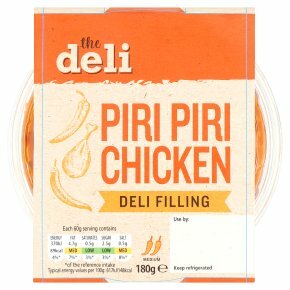 Chicken breast pieces with roasted red peppers in a Piri Piri dressing. Chilli rating - medium - 2. Warning: Although every care has been taken to remove bones, some small bones may remain.